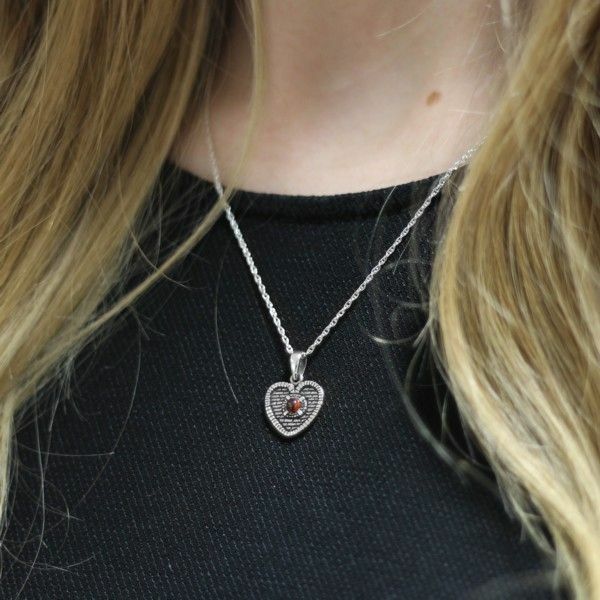 This highly attractive Sterling Silver Pendant is inspired by 'The Heart of Midlothian' which is located outside St Giles Cathedral in Edinburgh's renowned Royal Mile. 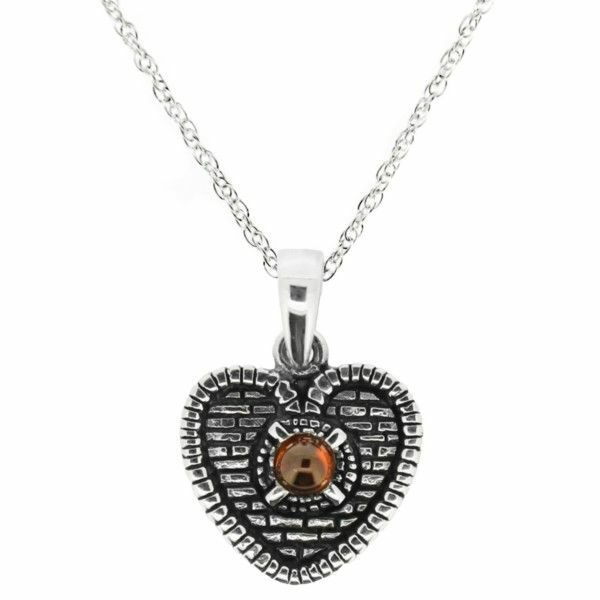 It features an exact replica of the famous heart shaped mosaic that is set in the cobbled square, and is enhanced with a genuine Garnet Gemstone in the centre. 'The Heart of Midlothian' is a novel by the famous Scottish author, Sir Walter Scott, and was the seventh in his Waverley Novels series. It was published in 1818 and is often considered his finest novel. 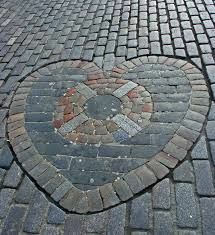 The 'Heart of Midlothian' mosaic records the location of the15th century Old Tolbooth which was the administrative centre of the town, and also a prison and site of public executions. The Old Tolbooth features heavily in Scott's novel. Visitors to Edinburgh may notice people spitting on the Heart. The Heart marks the point of public execution, and although it is now said the spitting is done for good luck, it was originally done as a sign of disdain for the former prison. Heart of Midlothian is also the name of one of Edinburgh's two famous football clubs, and the club use 'The Heart of Midlothian' as their emblem. This delightful and delicate pendant is crafted entirely of 925 Sterling Silver, and is despatched to you direct from our showroom in the heart of Edinburgh's famous Royal Mile, located right next door to the Old Canongate Tolbooth. 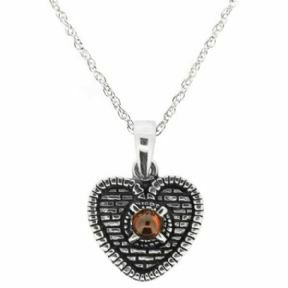 This beautiful Pendant will make an lovely gift, and a lasting momento, for anyone with a love of 'The Heart of Midlothian'.